Remember all that snow that fell last weekend? There’s a cute side to it, promise. Check out this impromptu video shot by our marine mammal staff! Chi (pronounced Chee), a 4-year-old Northern fur seal, was having fun romping in some of newly fallen snow. On his way back into the water, he spontaneously grabbed a little smooch from a marine mammal trainer! Northern fur seals are listed as “vulnerable” internationally. They have the second thickest fur in the animal world, second only to sea otters. With such luxurious coats, they are not dependent on blubber like most other seal species to stay warm in the frigid water. Northern fur seals can be found throughout the north Pacific, but their population is centered in the waters of southern Alaska. 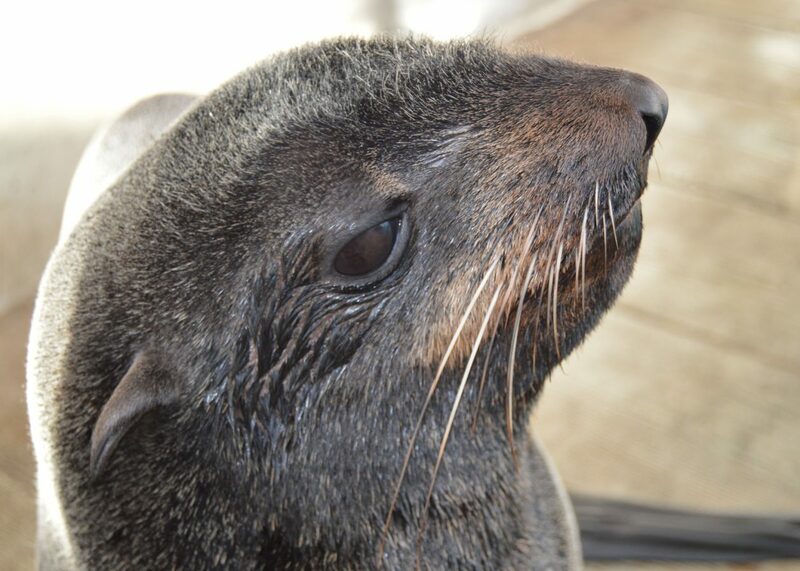 Chiidax the Northern fur seal strikes a handsome profile.